Whether your favourite Italian/American is Ol’ Blue Eyes himself, or Sly, or Coppola (The Fonz is my Numero Uno), you could do a lot worse than include a motorcycle on the list – Moto Guzzi’s California. The factory’s blatant model-name statement is one thing, but in reality this Italian immigrant has a pretty good handle on the concept behind the made-in-America cruisers. It ticks the boxes for important cruiser factors like looks, feel, comfort and performance. Moto Guzzi engineer Giulio Carcano developed Moto Guzzi’s first V-twin during the 1960s. 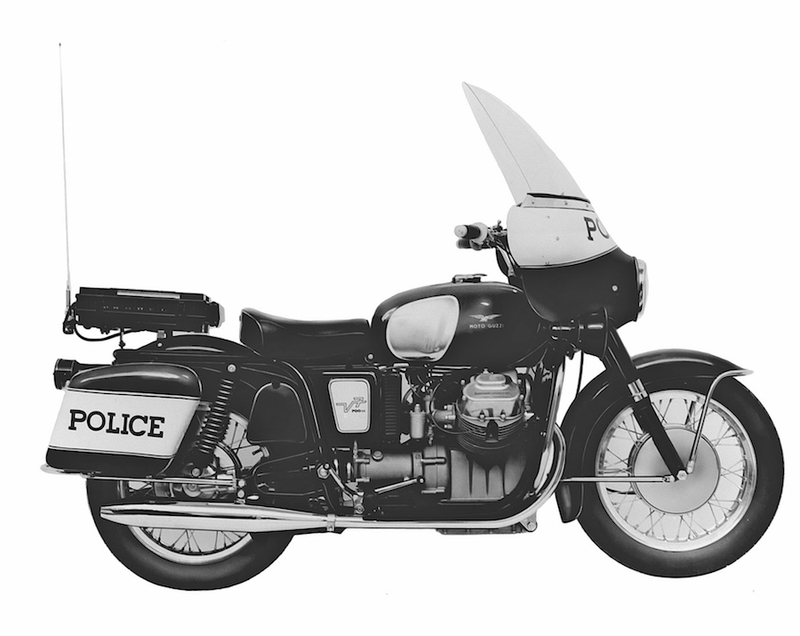 By 1969, a focused campaign won acceptance of the 750cc V7 Police model by the LAPD. While its growing success in the US with that model was valuable in its own right, it was more important as a trail-blazer for the successful launch of the 750cc V7 California civilian model in 1970. Over the decades the ‘Cali’ has evolved and developed with its engine capacity growing progressively. Today we’re reviewing the 1100cc models commencing with the EV 1100 introduced here in 1998, and continuing until the introduction of the 1400 models in 2013. As a big air-cooled V-twin, the Cali’s 1064cc engine fits the conventional cruiser template – admittedly, apart from its across-the-frame orientation. It’s an honest toiler, producing around 56kW (75hp) max off a really meaty torque curve. All of the EV series Calis have electronic fuel injection. Drive to the five-speed transmission and shaft final-drive is through a car-type single-plate clutch. The powertrain is housed in a robust tubular-steel frame riding on conventional telescopic forks and twin-shock rear suspension. The top quality Brembo brakes are coupled, linking the rear disc and one front disc via the pedal, while the handlebar lever operates the other front disc. ABS wasn’t offered on pre-1400 models. Styling is proper classic-cruiser regardless of which California variant you’re looking at. The relationship between the very comfortable low seat (750-770mm high) and the handlebars and footboards suits most riders. The width of the seat on some models, despite its low height, can be an issue for some shorter riders, though. There’s nothing tricky about riding a Cali. You soon adapt to the cradle-type gear-shift; it changes gear quite smoothly for a heavy-duty cruiser. The powerful brakes are perfect for a cruiser. The shaft-drive set-up is unobtrusive and zero-maintenance. The California is quite light for a cruiser at 246-263kg (dry). As well as making low-speed manoeuvres a piece of cake this contributes to much better overall performance than you expect. They go harder and handle better than most cruisers. A top speed not far shy of 200km/h is a pleasant surprise given the modest max-power figure. It’s a really enjoyable bike to ride that’s just as happy doing the daily commute as it is punting down the coast or dragging the footboards through the hills. The big donk pulls like a tractor from 1500rpm. It loves being short-shifted but doesn’t mind being revved out. It’s also easy on fuel providing a safe touring range of 280km from its 19-litre tank. Engine vibration is never intrusive. It’s just a textured background to the ride – a character thing. As is the torque-rock effect you get as you blip the throttle at the lights. The multitude of Cali models (Touring, Sport, Jackal, Stone, Aluminium, Vintage – and other Specials and Anniversary models) offer buyers a huge range of choices from full-dresser tourers to pared-back urban-customs, all built on the same reliable and efficient chassis. 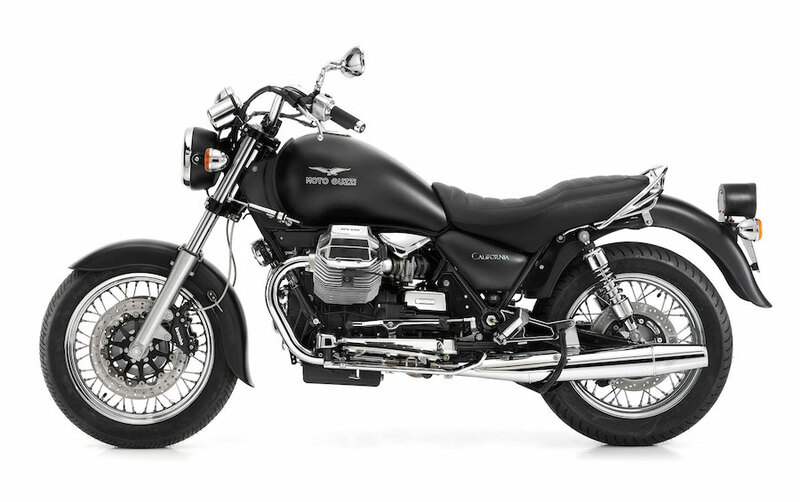 If you like its classic-cruiser looks and you appreciate a bit of character in a bike, and you’re up for something a bit different, a Moto Guzzi California offers the bonus of being a surprisingly versatile and capable motorcycle. Weber-Marelli electronic fuel injection with 40mm throttle bodies – its introduction finally consigned carby-fed Cali’s to motorcycling history. Brembo Brakes – the coupled braking system incorporates a front/rear pressure-proportioning valve to boost efficiency. Engine orientation – mounting the V-twin across the frame maximizes power delivery efficiency through to the shaft final-drive. Classic-look twin-shock rear suspension – it works quite effectively, contributing to the Cali’s surprisingly capable handling. The big Cali has a great reputation for being trouble free. The exception was the hydraulic valve-lifter models (2003-’05) that had cam-wear issues. These should all have been rectified by a factory recall at the time. Because cruisers are usually not ridden to their limits, a nice looking example with a good service record and reasonable kilometres is very unlikely to have hidden problems. Always remember to factor in the cost of consumables like brake pads and brake rotors that will soon need replacing. The California is a nice simple bike for routine servicing by DIY owners. Taking the sump off to change the oil filter seems odd, but it’s old hat second time around. Have an expert check the fuel-pump/fuel-line connection. Some have come adrift. It’s a simple fix. Any periodic attention the fuel-injection system needs is also best left to experts. Services including oil and filter changes, valve clearances and new plugs are required every 10,000km. My Guzzi-guru, John Vittorio, from Motociclo in St Peters recommends changing oil and filter in between at 5000km. 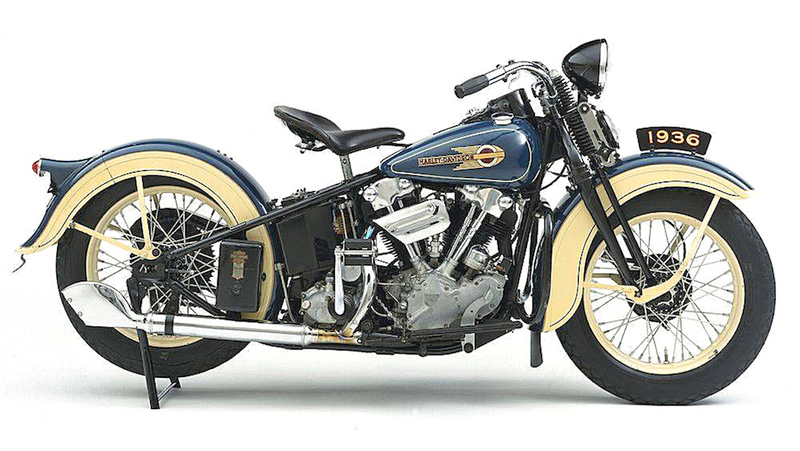 1936 – The Harley EL’s release sets the low, sleek styling-template for cruisers that’s still seen in today’s cruisers – including the California. 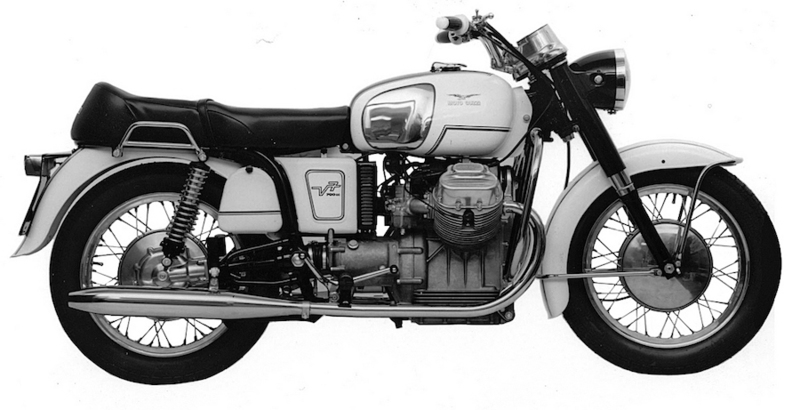 1967 – MOTO GUZZI’s 700cc V7, its first V-twin, was developed as a police bike for the Italian domestic market. Civilian versions followed. 1969 – MOTO GUZZI’s 750cc V7 developed for the LAPD was followed by the California, a challenger to Harley-Davidson for civilian sales.